Are you getting enough vitamins from your diet? Most people would say yes. But there's ample reason to believe you're not. Let me explain. Nearly eight years ago, I wrote about a case report in the Japanese literature of a young woman and five other people with "mild" versions of McArdle disease. McArdle disease is a genetic disease caused by a deficiency of the enzyme myophosphorylase. Your body needs this enzyme in order to supply the muscles with enough glucose to keep them going during exercise. Because of the enzyme deficiency, people with McArdle disease have almost no capacity for exercise. They fatigue extremely easily. What determines the levels of most of the enzymes in your body is a combination of your genetics and your diet. That's because enzymes consist of two parts. 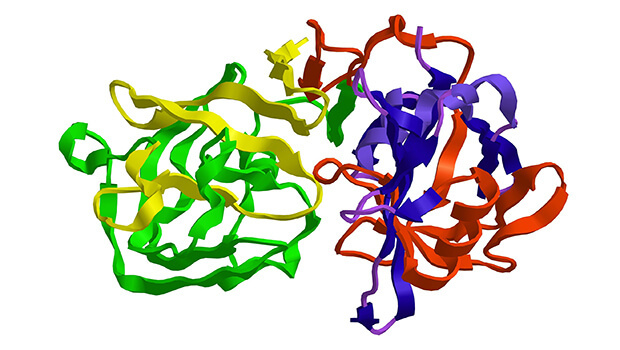 One part, called the apo-enzyme, is synthesized from your DNA. The other part, called the coenzyme, comes from your diet. Coenzymes are made from vitamins and minerals. That's why the vitamin/mineral content of your diet is so crucial. As long as your genetics can supply enough apo-enzymes, and as long as your diet contains enough vitamins and minerals to make the coenzymes, you will be just fine. And that simple fact is what caused Roger Williams, PhD to formulate the principle of biochemical individuality. I'll tell you more about Dr. Williams on Thursday. For now, know that his principle of biochemical individuality is what explains why so many of us are deficient in vitamins even when our diets are perfect. On Thursday, I'm also going to show you how this principle - whether you're sick or not - applies to you. And I'm going to show you how it also applies to just about every chronic condition, including fatigue and many psychological disorders. What's more, I'll show you how to fix these issues - and I'll give you one tip to overcome the #1 reason people think vitamins don't work. This secret will help you find success that many people fail to experience. You don't want to miss it.